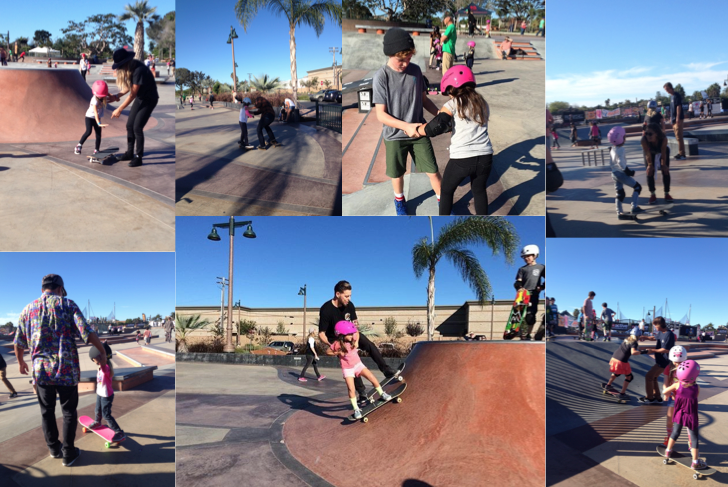 EXPOSURE 2015 went off on Saturday, November 7th at the Encinitas Community Park at 425 Santa Fe Drive. It was EXPOSURE’s 4th year and the park’s first major skate event. The park is new having just opened in 2015 and has a bowl and street course. Tony Hawk’s vert ramp was brought in so there could be three contests – actually nine because each style had three categories – two amateur and one pro. There are tons of articles and videos out there on the amazing skating that happened during the contests. And I’m super stoked that so many girls came from so many places to compete – but what I love about EXPOSURE is the Learn-to-Skate Clinic. 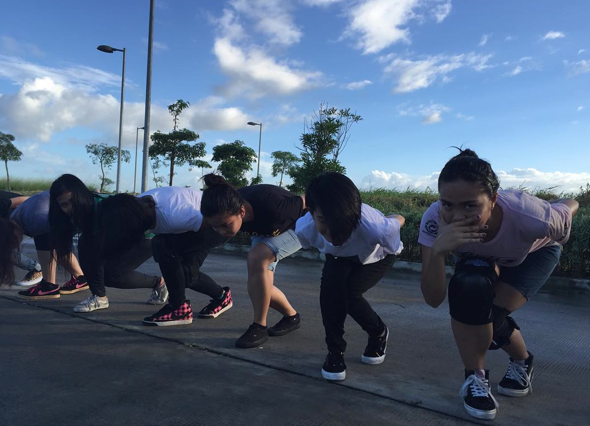 I know Learn-to-Skate Clinics aren’t glamourous – no OMG moves or flips or many tricks at all. What makes them so special is that for many of the participants it’s their first time on a board or maybe they are coming back to give skating a second chance or just have some questions or want some tips. 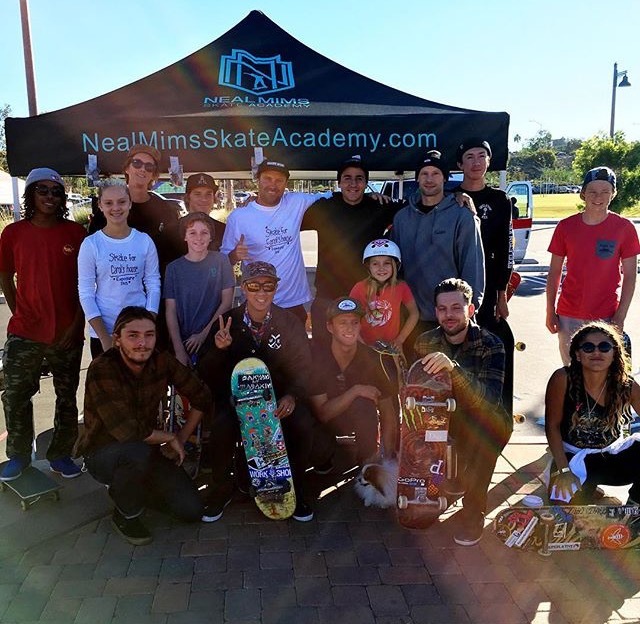 Learn-to-Skate is the perfect place to get skate advice – besides being run by Neal Mims a skate pro and founder of a premier skate academy in North County San Diego – there are tons of other pros. All these skaters plus more came out at 8am on a Saturday to share skateboarding. At least for me 8am on a Saturday is a huge commitment – yet each one of these rad people were there and ready to help. And help they did these are just a few of the pictures. Thanks to Bridge to Skate and SkateXS there was enough gear for everyone. Plus those that needed a board to continue skateboarding got to take one home. 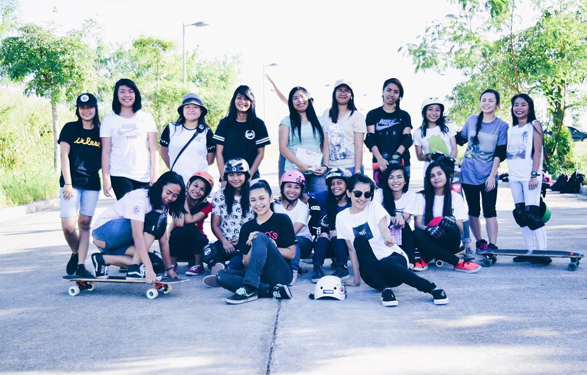 I came expecting to help girls find the fun of skateboarding – which I did. I was probably as happy & excited as she was when she dropped in. I was surprised to help a boy too. 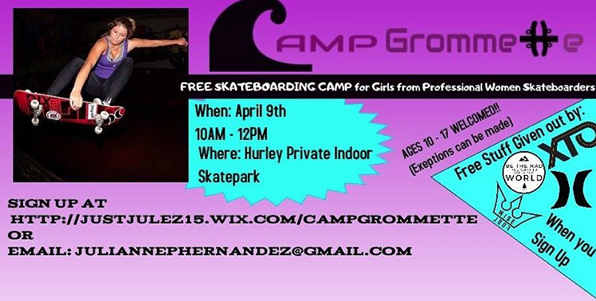 I first went to EXPOSURE in 2013 where I was so excited and inspired because I got help at the Learn-to-Skate Clinic and saw girls skateboarding. It actually helped me get over my fear of skater boys and believe #girlscanskate. Until then I thought skater boys hated girls at the skatepark. Maybe I thought that because there were so few girls and so many boys or because the boys were so much better than me or because of things I was told – it doesn’t really matter why I thought it – when you think something it’s true for you. So when I went to the park I was afraid of skater boys. It’s hard to skate when you’re scared and at least for me it’s impossible to have fun when I’m scared. So skateboarding wasn’t even something I enjoyed – it was something I did to make my dad happy. I got over my fear of skater boys when they helped me at EXPOSURE 2013. When my fear was gone my skating got better. How much better is relative – I don’t believe you have to be a super shredder to have fun skateboarding. So with a focus on fun – I started my blog skatingfashionista.com because more girls skate when they see girls skate – after all I was inspired by the girls I saw at EXPOSURE 2013 – seeing is believing! I started out wanting to show girls other girls skateboarding so I wouldn’t be alone at the park. 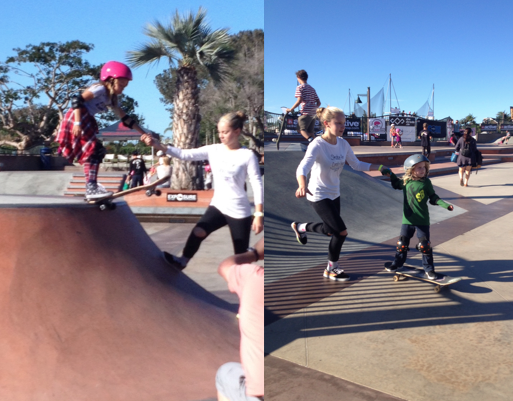 What I found out at this years Learn-to-Skate is that skateboarding really is for everyone. 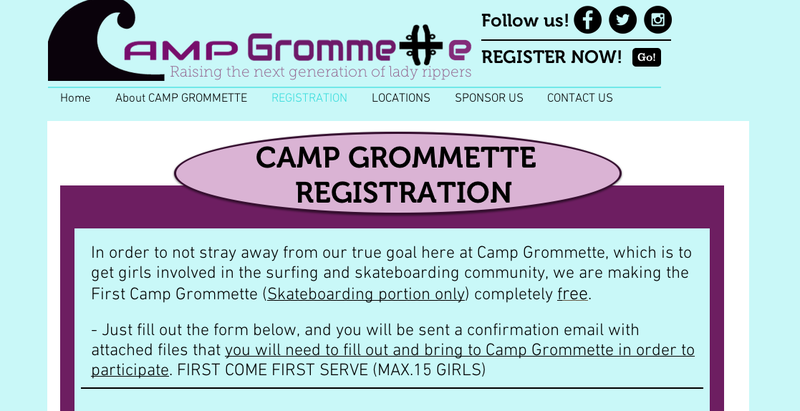 So two years into this I’m inspired again – to get more girls skateboarding for fun and help get the message out there that it doesn’t have to be about the boy skaters and the girls skaters – we are all skaters. That was so rad of Clive to come with his dad to EXPOSURE – because skateboarding is for everyone who wants to skate. Thank you so much to Neal Mims for being with me through both those years – Allie Wagner/KUSI for putting Learn-to-Skate on the news -because yes more girls do skate when they see girls skateboarding, and Clive my new five year old buddy who helped me realize we are all just skaters. note: EXPOSURE Skate is a non-profit founded by Amelia Brodka and Lesli Cohn all proceeds go to Carol’s House to help victims of domestic violence – please give generously so this event can continue.